I hate being left hanging. It’s so frustrating when you see part of a show, and can’t see the rest, whether it’s going from terrestrial to Sky, free to view to paywall, or a company deciding to no longer continue with a show. The latter happens most often with anime in the UK, as margins are tight enough, the fanbase so niche that a target missed will simply preclude wasting money on more. 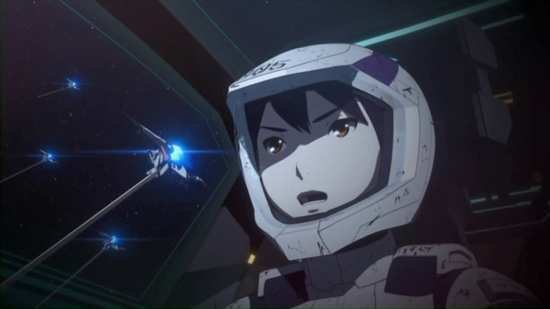 Knights of Sidonia, one of the big Netflix anime shows, just didn’t sell enough for Animatsu when the first season was released in 2015, but I was surprised at just how good the space opera turned out to be. I’ve been looking forward to the second series ever since. I guess 3 years is my limit, and I finally resorted to importing the sequel. The problem is that its only Blu-ray release is in the US, and that is locked to Region A. I’m going to have to live with format inequality on my shelves with the DVDs of the second season next to the Blu-rays of the first. I can already feel the itch building. The world has ended. The alien Gauna attacked and destroyed the solar system. The few survivors of humanity managed to escape in vast seedships, and one such seedship, the Sidonia now makes its way through space, guarding its precious human cargo in the hope that civilisation can once more be re-established on another world somewhere. That isn’t easy with Gauna still liable to attack. To defend, the Sidonia has a legion of Garde, giant space going robots equipped with the only (alien) technology able to defeat the Gauna. And to take the robots into battle, elite pilots are trained in an Academy. No Gauna has been seen for a hundred years when Nagate Tanikaze joins the Academy. He’s a throwback, a human raised by his grandfather in the catacombs under the city, trained on vintage Garde simulators in how to battle the Gauna. The death of his grandfather and hunger drives him to the surface where initially he’s treated as a criminal. 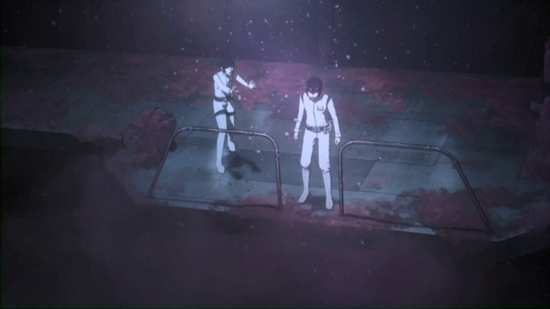 But the captain of the Sidonia recognises him, and the talent that his grandfather nurtured, and assigns him to the Academy, with the hope that he will be the next Knight of Sidonia, protector of humanity. For after a century, the Gauna have returned. But there are truths about this spaceship and humanity’s history that are yet to be revealed. 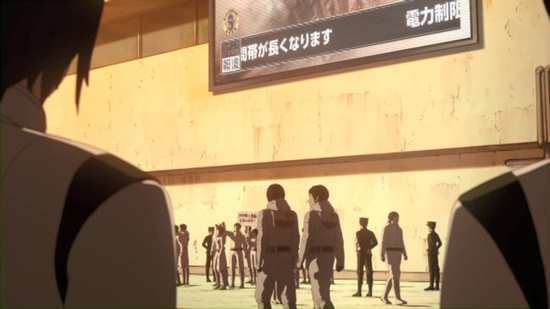 The nature of the Gauna, and the history of Sidonia were revealed to be a lot more complex than anyone thought in the first season. While Nagate quickly became an exceptional Garde pilot, he faced more than one loss, including the girl he was sweet on, Shizuka Hoshijiro. Then the Gauna took on a more human form, Hoshijiro’s form, and Nagate managed to capture this creature. There seemed to be the possibility of human-Gauna communication, but at the end of the season, this Gauna humanoid vanished from the research facility where it was held. 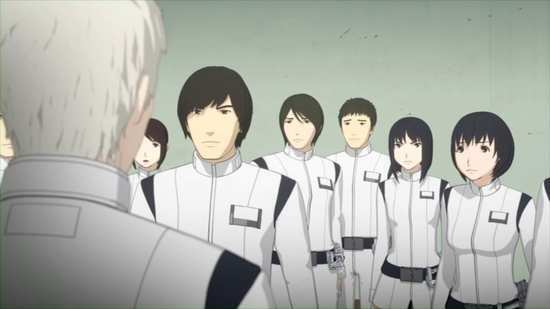 As season 2 begins, the leadership of Sidonia is about to irrevocably change, as is its ultimate goal. The Garde pilots may not be able to handle this new challenge, but then suddenly a new warrior appears, a Chimera blending human and Gauna traits; she’s named Tsumugi Shiraui, and she speaks with a very familiar voice. But the last time a scientist tried to create a chimera, it almost meant disaster for Sidonia. 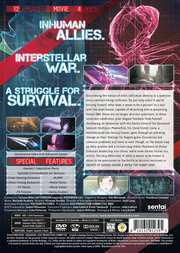 12 episodes of Knights of Sidonia Season 2, plus extra features are presented across four DVD discs from Sentai. 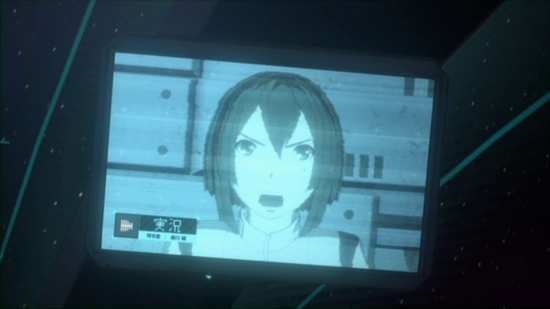 Knights of Sidonia gets a 1.78:1 anamorphic NTSC transfer which isn’t bad. It’s clear, sharp, with decent detail and smooth animation, but compared to the 1st season Blu-ray, the 2nd season DVD is a mess of digital banding. It’s everywhere, in every scene, and makes me regret that the BD was region locked. 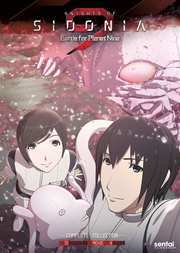 Knights of Sidonia is a 3D animation, with cel-shaded characters fitting in well with the CGI mechas and environments. The mecha aspects of the show look fantastic, great robot designs, intricate world designs, and truly daunting and epic Gauna manifestations. The action comes across well, and taking a leaf from J.J. Abrams book, there’s a whole lot of lens flare on screen to add... well flair. The character animation, specifically the facial animation is somewhat static and lacking in detail though, and the representation of emotion really has to be carried by the voice actors. You do get used to it after a while, but it really could have been better. You get DD 5.1 Surround English and Japanese, 2.0 Stereo Spanish, with subtitles and signs in English and Spanish and a French subtitle track, all locked during playback. Knights of Sidonia is an aural treat even on DVD. I opted for the Japanese as always, and got a full-blooded surround track for my trouble. 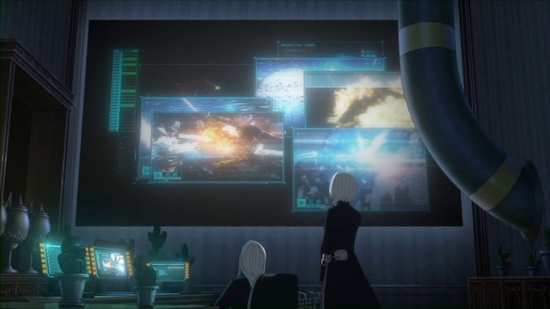 This is an action packed show, and the speakers get a full workout when conveying the various battle sequences, highlight the quality surround design in creating an immersive representation of Sidonia’s world, and really do the show’s music justice as well. The actors are well cast for their roles, and give great performances that elevate the admittedly limited character animation. I gave the English dub a quick try and found it to be a surprising decent effort from Sentai; they obviously realised that they had a property that they couldn’t give one of their conveyor belt dubs to. The subtitles are accurately timed and are free of error. The film’s presentation is Dolby Digital 5.1 Surround Japanese with English subtitles locked during playback. Unlike the series discs, there are no dubs or other subtitle tracks. You get four discs in an Amaray case, two either side of two centrally hinged panels. 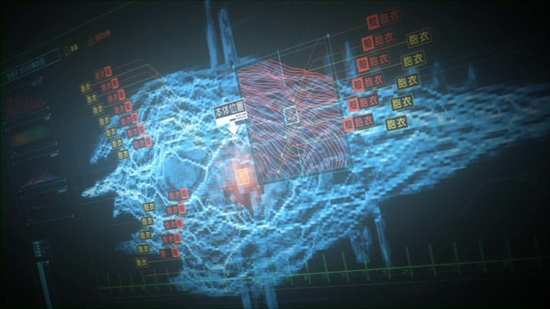 Each episode is followed by an English language credit scroll, even though the Japanese credits have been translated into English for the opening and closing credit sequences. The discs present their content with static menus. Disc 1 autoplays a trailer for Parasyte –The Maxim-. You’ll find it again on the disc alongside trailers for Cross Ange: Rondo of Angel and Dragon, The Labyrinth of Grisaia/The Eden of Grisaia, and Cobra: The Animation. You’ll also find the textless credit sequences on this disc. Disc 2 has Blame! in Japanese with English subtitles, and it runs to 1:36. It’s the full screen experience of the show that the characters were watching in episode 8. You might recall that the 90 second promo got enough attention to warrant a spin-off animation of its own, which was released here in May by Manga Entertainment. 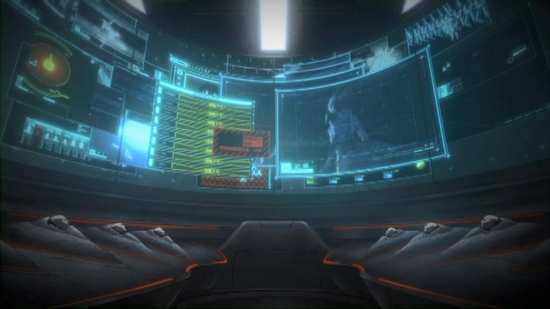 You also get a trailer and TV preview for Knights of Sidonia. Disc 3 offers the broadcast version of the final episode, shorter at 24:29, and presented in Japanese with English subtitles only. Disc 4 offers the teaser and the theatrical trailer for the feature film. I started with the film; after all, 3 years since watching the first series I definitely needed a jolt to the memory, and what better than the first season condensed down into 2¼ hours? Actually I can’t imagine it being much worse, as it takes an entertaining and gripping TV series and reduces it to a highlights package, shorn of character, context and emotional weight. But it did the job of reminding me of who’s who, and what’s what, even though I had to go back after the end and watch the middle bit again that put me to sleep. Next time I’ll just watch the TV series. That is the real reason why I’m indulging myself with these discs after all, the TV series. The movie is just a bonus feature. 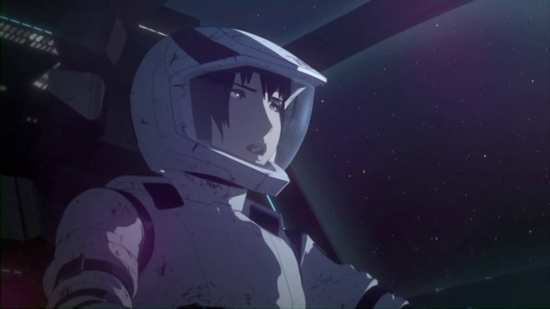 And when it comes down to it, Knight of Sidonia Season 2 somehow manages to deliver more of the same space opera antics, the big Battlestar Galactica inspired space dogfights, the teen angst melodrama, and the odd moments of comedy, yet at the same time, it loses a little something as it advances its story. 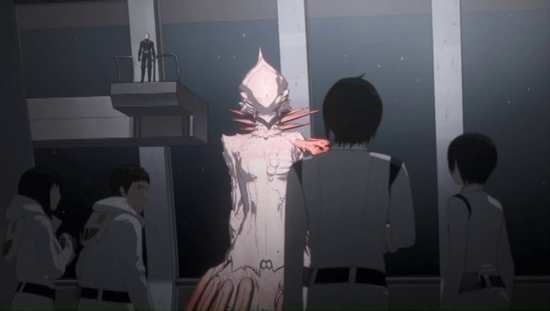 The thing about the first season of Knights of Sidonia, was that it promised a whole lot of conspiracy story regarding the colony ship, its past and its destiny, and there were plenty of questions asked about the nature of the Gauna that almost destroyed humanity. The sequel dispenses with almost all of the conspiracy by the second episode by completely changing the power structure of the Sidonia. 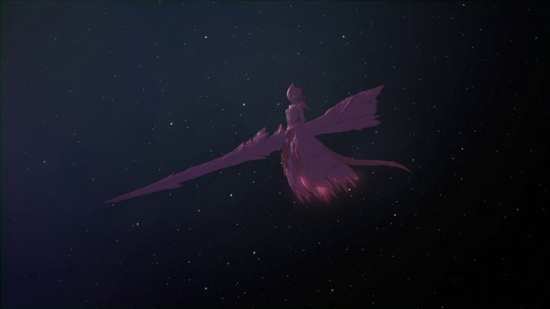 The question about the nature of the Gauna remains up in the air, with the vanishing of the Hoshijiro Gauna clone at the end of the previous arc, replaced by the advent of a Chimera creature created to fight the Gauna alongside the knights, an arc which plays through these episodes. But there are no answers forthcoming. 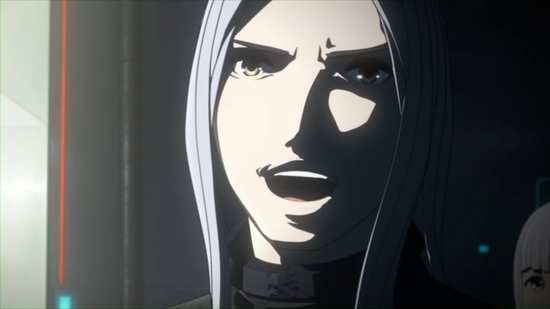 Another development that proceeds to enthuse and infuriate at the same time is with what happens to Nagate’s rival Kunato, the long-haired, rich-kid would-be hero who in the previous season went as far as sabotaging Nagate at the Sidonia’s expense, before quitting the Knights altogether to run his family business. You might have expected his rivalry with Nagate to intensify in this collection, only his story fundamentally changes in season 2, thanks to a body-snatcher subplot. The face may be the same, but it really is a different character’s story arc that unfolds here. It’s Kunato’s company that introduced the Chimera in the second episode, a Gauna in appearance, proportions the size of a Garde robot, and supremely skilled at flying, fighting and killing Gauna. The Chimera has the personality of a teenage girl and is named Tsumugi, and what’s more, she recognises Nagate from her first appearance. The hints are strong that she is in some way connected to the Hoshijiro clone. For human interactions, she extrudes tentacles, including a rather humorously phallic looking ‘head’, tentacles that can reach through the ship, and eventually even move in with Nagate. 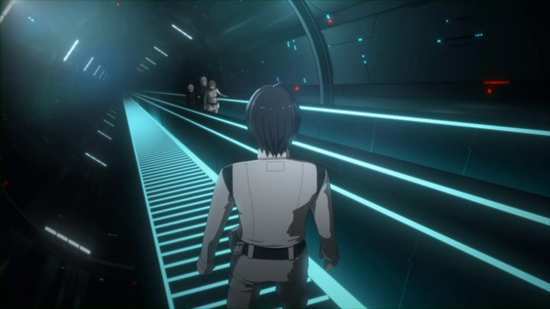 In terms of the story arc, the second season sees the Sidonia arrive at the Lem system, to which it has already dispatched colony ships, ships that have fallen out of contact. The seventh planet of Lem is Sidonia’s ultimate destination, but when it transpires that the Gauna are already there, they have to prepare for all-out war against the Gauna. To that end, control of the ninth planet is a strategic necessity, and it is this goal towards which the characters work through this collection of episodes. 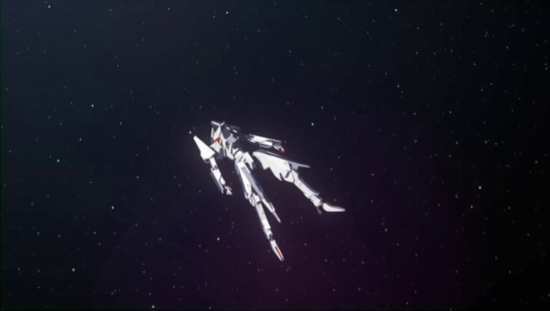 Season 2 certainly isn’t the end of the Sidonia story, and it’s very much open ended in the hope of more seasons to come, although at this time, no third season has been made. In this case however, it isn’t a deal-breaker. Knights of Sidonia Season 2 does provide closure for the Nagate character. From the first episode, he’s been on a journey towards his destiny, starting off as a lost orphan, an evolutionary throwback that has been scrounging his living in the bowels of the ship, but whose grandfather has raised him to be a Garde pilot. 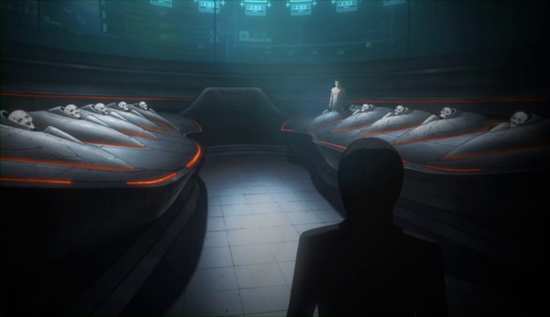 The episodes of the first season saw him go through the Academy, training, and his first few missions. 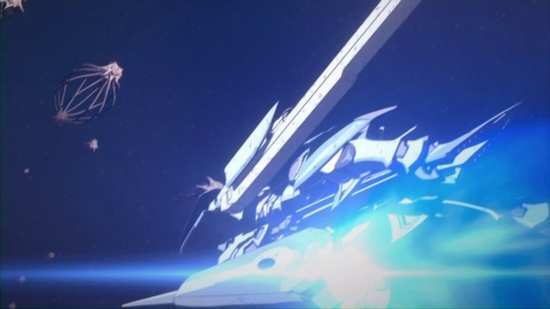 The second season sees him come into his own, and finally become a true Knight of Sidonia. The final episode takes on a reflective tone as it looks back on his journey, and in that respect, it’s a good stopping off point for the character, even if the story itself lacks for a conclusion. 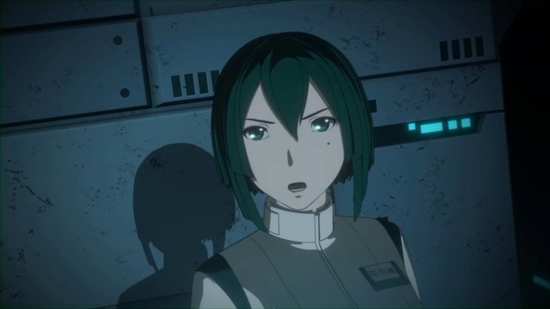 The second season squanders some of what the first set-up, which is a shame, but it’s not enough to diminish Knights of Sidonia Season 2 – Battle for Planet Nine, and in the end it’s a worthy follow-up. It builds on the characters and their relationships, maintains the mix of comedy, action, and sci-fi, while adding just enough to the mix to keep it interesting. The 3DCG animation still demands that you suspend your disbelief, but if you can do so, then it’s well worth investing some time in.